how can funds such as Tabung Haji contribute to the development of real estate projects. the driving factors that have attributed to the rise of Islamic finance in non-Muslim countries. government policies and economic incentives for investors. 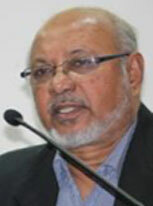 Dr Rahmatullah Abdul Ahad, Managing Director, Janaseva Co-operative Credit Society Ltd., India. One to one business meetings between foreign investors and prospective Indian businesses can be arranged at the Business Networking Lounge. Ahmed A. R. Buhari is the President of the United Economic Forum (UEF) and is the son of the founding father, Alhaj Dr B. S. Abdur Rahman. As the President of the United Economic Forum (UEF), Ahmed strives to serve the underprivileged communities and helps UEF members impact the economic, industrial, educational and social developments of the country. He’s also the Founder, President and Chief Executive Officer of the Coal and Oil Group, one of the largest imported coal supplier in India. He has plans to develop the Madurai-Tuticorin Industrial Corridor, along with the Government of Tamil Nadu, to attract and facilitate investments. Ahmed holds a Master’s degree in Shipping, Trading and Finance from the Cass Business School, London. Panneerselvam is the Honourable Deputy Chief Minister of Tamil Nadu and the Co-ordinator of All India Anna Dravida Munnetra Kazhagam. He also holds portfolios of Finance, Housing, Rural Housing, Housing Development, Slum Clearance Board and Accommodation Control, Town Planning, Urban Development, and Chennai Metropolitan Development Authority. He served as the Chief Minister of Tamil Nadu multiple times during 2001-02, 2014-15, and 2016-17. He represents the legislative assembly constituency of Bodinayakkanur, Theni, India. M.C. 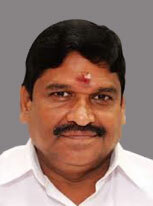 Sampath is the Honourable Minister for Industries, Steel Control and Special Initiatives in the Government of Tamil Nadu. He is the member of the Tamil Nadu Legislative Assembly from Cuddalore Constituency. He formally served as a Minister for Special Program Implementation and Rural Industries. 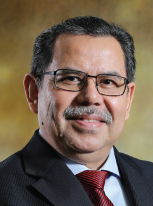 Professor Dato’ Dr Azmi Omar has been the President and Chief Executive Officer of INCEIF, the global University of Islamic finance, since October 2017. He was the Director General of Islamic Research and Training Institute (IRTI) of the Islamic Development Bank (IDB) Group in the Kingdom of Saudi Arabia. He was also a Senior Professor and University Administrator at the International Islamic University Malaysia (IIUM) for almost 30 years. At IRTI, Professor Azmi pioneered and introduced many innovative policy researches which culminated into flagship reports such as IRTI Islamic Social Finance Report and IDB-World Bank Global Report on Islamic Finance. Professor Azmi has advised and provided technical assistance to a number of IDB member countries in their implementation of Islamic finance. He’s a Member of the External Advisory Group for the International Monetary Fund (IMF) Interdepartmental Working Committee on Islamic Finance and a Member of the Board of Trustees of the Responsible Finance Institute (RFI) Foundation. He currently serves as Islamic Finance Expert to the Monetary Authority of Brunei, Darussalam. Professor Azmi was awarded ‘The Most Outstanding Individual Contribution to Islamic Finance’ in the Kuala Lumpur Islamic Finance Forum (KLIFF) Islamic Finance Awards 2015. Mohamed Thowfeek Mohamed Azmeer is the Chief Executive Officer of Amana Bank in Sri Lanka. He has over 30 years of experience in the banking industry which includes the Commercial Bank of Ceylon and Citibank in the United Arab Emirates. 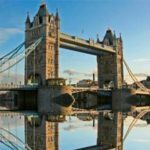 He has carried out many overseas assignments in countries such as the United Kingdom, India and Kenya, where he acquainted himself with the different dynamics and challenges specific to those areas. He was also a founding member of the Dubai Bank. In the field of Islamic banking, Azmeer has held holding senior positions at Al-Rajhi Bank Saudi Arabia and Sharjah Islamic Bank, where he was Executive Vice President. Mohamed holds a Master of Business Administration from the University of Leicester, United Kingdom. K.A. Najmi is a Former Legal Advisor of the Reserve Bank of India. With over 35 years of experience in banking and finance. He started his career as a practicing lawyer and was government advocate on the civil side in Delhi High Court. He has served in various positions in the legal department of the Reserve Bank of India and was involved in the drafting and implementation of exchange control regulations. He joined the Industrial Finance Corporation of India Ltd as Chief General Manager of Law. Khurshid was also a Partner at Fox Mandal Little, New Delhi, between 2004 and 2008. During this period, he worked on a World Bank project in Bangladesh. His assignment required him to suggest amendments in banking, finance and insurance laws for regulating and carrying out both, conventional and interest-free business. Some of the suggestions have since been accepted and have become law. He is presently a Partner in Link Legal India Law Services, a full-service law firm as part of the banking and finance team of the firm. He holds a Master of Law from the University of Mumbai in India, specialising in commercial law. 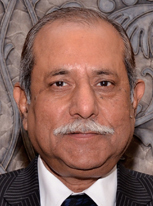 Dr Shariq Nisar is a Professor at Rizvi Institute of Management Studies and Research (RIMSR). 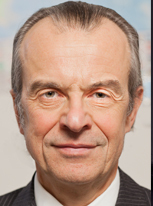 Prior to joining RIMSR, he worked at the Harvard Law School, United States, as Senior Visiting Fellow. Before moving to academics, he spent over a decade in the Indian finance industry developing financial products and services that aimed at improving financial inclusion and increased investment in socially responsible sectors. Dr Shariq launched India’s first shariah index with the Bombay Stock Exchange (BSE), first mutual fund scheme and first venture capital scheme approved by the Indian capital market regulator, the Securities and Exchange Board of India (SEBI). He has been associated with many universities, colleges and institutes in designing academic courses, conducting researches and delivering workshops. He also established India’s first centre for alternative finance at the ITM Business School. He authored three books and 60 research papers and articles and has participated in over 40 international conferences. 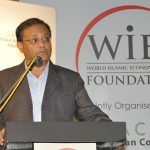 For his contribution to the Indian finance industry, Dr Shariq received the Skoch Digital Inclusion Award 2011 and is the recipient of the Honorary Award from Islamic Finance Forum of South Asia (IFFSA), Colombo. He holds a PhD in Economics from Aligarh Muslim University, India. 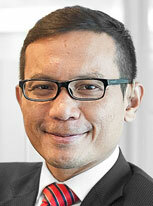 Raja Teh Maimunah is the Managing Director of Wholesale Banking at AmBank Group, Malaysia. She has over 20 years of experience in banking and finance focusing on areas of Islamic and investment banking. She was the Managing Director and Chief Executive Officer of Hong Leong Islamic Bank and Global Head of Islamic Markets at Bursa Malaysia. She was also the Chief Corporate Officer and Head of International Business at Kuwait Finance House Malaysia, Chief Executive Officer of Bank AlKhair Malaysia (previously Unicorn Investment Bank) and head of Investment Banking at RHB Sakura Merchant Bank (now RHB Investment Bank). She’s currently the Advisor on Islamic banking and finance to the World Islamic Economic Forum Foundation. She served in Pengurusan Danaharta Nasional Berhad and was with CIMB Investment Bank for almost 10 years covering debt and equity origination and equity sales. She started her career at KPMG Peat Marwick Consultants. She holds a Bachelor of Laws from the University of East London, United Kingdom and was awarded an Honorary Doctorate of Laws from the same university. Alberto G. Brugnoni is the Founder and Managing Partner of ASSAIF, the oldest Islamic finance consultancy in Europe which operates on a projects-basis model. He’s also the Founder and Manager of NuoviStilidiVita, a consultancy on sustainability, financial and social inclusion, complementary currencies and added territorial value. Over the years, ASSAIF has been instrumental in bringing and expanding Islamic finance to new markets. These include, the 2011 maiden Islamic finance capital market transaction in Russia which was named the Europe Deal of the Year, the 2009 membership of the advisory committee to the United Kingdom’s conservative party on the issuance of a debut sovereign sukuk and the 2006 maiden Islamic finance transaction in Italy. Alberto pioneered the first Islamic transactions in Europe and is former Director of Merrill Lynch Bank, an independent consultancy on Islamic finance. 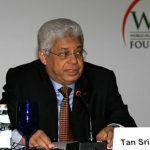 He is a Consultant to the World Bank for micro-takaful and was the 2012 Chair of the Advisory Council of the World Congress of Muslim Philanthropists. 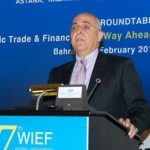 He is also Chair of the London International Takaful Summit and co-promoter and Chair of the Turin Islamic Economic Forum. He currently lives in Kabul with the remit to draw and implement a nationwide and comprehensive strategy to expand the access to Islamic financial services across rural regions of Afghanistan. 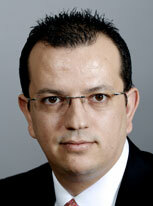 Dr Mohamed Damak is a Senior Director and Global Head of Islamic Finance at S&P Global Ratings. He covers financial institutions in the Middle East and Africa region. 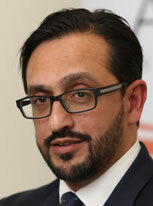 He also leads a global team of Islamic finance analysts. Before re-joining S&P Global Ratings, Dr Mohamed worked as a Principal Credit Risk Officer for the African Development Bank in Tunis. From 2006 to 2010, he worked for S&P Global Ratings covering conventional and Islamic financial institutions in the Middle East and North Africa region (MENA). Dr Mohamed holds a PhD in Finance and Master’s degree in Money, Banking and Finance from University Paris 2 Panthéon-Assas, France. He also holds another Master’s degree in Financial Institutions Management from the Tunis Higher School Of Commerce, University of Manouba, Tunisia. Mohamed Rafe Mohamed Haneef is the Chief Executive Officer of CIMB Islamic Bank Berhad, Malaysia and Chief Executive Officer of its Group Islamic Banking Division. He became the Chief Executive Officer of CIMB Islamic Bank Berhad in 2016 and has been in charge of the CIMB Group’s Islamic banking and finance franchise since. CIMB Islamic operates as a parallel franchise to the Group’s conventional operations and covers the Islamic wholesale banking, consumer banking, commercial banking and asset management and investment. Mohamed Rafe has 20 years of experience covering a range of businesses and functional roles gained from three global banks, an international asset management company and a legal firm, at various financial centres including London, Dubai and Kuala Lumpur. He studied law at the International Islamic University Malaysia (IIUM) and holds a Master of Law from Harvard Law School, United States. 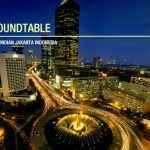 Irman Boyle is the Executive Vice President and Head of Advisory Group of the Indonesia Infrastructure Finance (IIF). He has almost 16 years of experience in multilateral institutions and consulting firms including the International Finance Cooperation (IFC), the Asian Development Bank (ADB) and PA Consulting Group. Irman has worked in the Public-Private Partnerships (PPP) Transaction Advisory department at the IFC, advising government clients on a coal-fired independent power producer (IPP) project and a water supply project. He was also Indonesia’s representative for the Private Finance Advisory Network (PFAN). Irman holds a Master of Business Administration from City, University of London, United Kingdom and an undergraduate degree in electrical engineering from the Bandung Institute of Technology, Indonesia. Asad Ansari is the Co-Founder and Chairman of Amanah Islamic Finance, an Australian mortgage manager which was founded on the principle of financial inclusion for all. Amanah has provided more than AUD200 million in Islamic finance primarily to first home buyers across Australia. 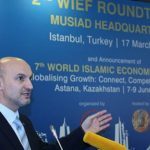 Asad is an Australian qualified lawyer and finance professional with more than 20 years of experience as an adviser to some of the world’s largest Islamic banks and shariah-compliant funds in the South East Asian region and the Middle East. He has advised these institutions on more than USD1 billion successfully implemented Australian Islamic finance transactions. Asad has held senior appointments with Deloitte and Australian top tier law firm, King & Wood Mallesons. He was appointed to the expert panel of the Australian government’s review of the Australian taxation impact of Islamic finance. Hamid Rashid is the Founder of Finterra Pte Ltd, an award winning Blockchain research and development technology platform organisation which developed the Galactic Blockchain, he successfully runs companies in several prominent jurisdictions, including Singapore, Hong Kong, Malaysia, Abu Dhabi, and New York. He has over 15 years of experience in technology consulting and business development in the business to business and business to customers industry sectors. 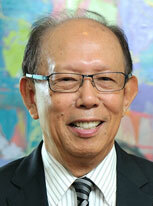 He was also Senior Business Manager with Hewlett-Packard, PETRONAS and U&Me Communication. Hamid specialises in technology IP development, technology commercialisation and venture capital investment and property investments. He is a hands-on strategic visionary, who brings a wealth of experience and knowledge to create brands that deliver stakeholders with strong tangible results. He has established a record of outperformance across an array of financial strategies. Hamid speaks four languages, holds a Master’s degree in Information Technology and Management and a Certificate in Organisational Leadership. 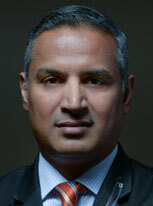 Sherif Kottapurath is the Managing Partner of Mount Judi Ventures LLP in India. He has 35 years of experience in the IT industry and was Chief Technology Officer at Sun Microsystems. 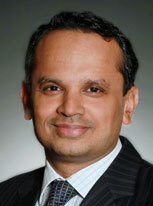 He set up Wipro’s research and development teams in the United States. Wipro is an India-based information technology, consulting and business process services company. 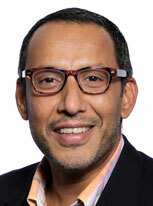 Sherif was among the earliest employees at Wipro and has several patents in his name. As a serial entrepreneur, Sherif is Chief Executive Officer of POSibolt that provides software for medium-sized companies in Asia, Middle East, Africa and Europe. He’s also Founder and Chairman of Rehbar Financial Consultants to enhance shariah-compliant value creation for businesses and investors. He initiated many philanthropic initiatives including Lead Trust and HBS Hospital, which runs one of the largest low-cost dialysis centres in Bangalore, India. Dr Rahmatullah Abdul Ahad is the Managing Director of Janaseva Co-operative Credit Society Ltd in India which aims to achieve the national mission of inclusive growth. He’s had 29 years of teaching experience in various universities and colleges including the Akbar Peerbhoy College of Commerce and Economics (APCCE). Prior to that, he was in charge of administrative affairs and designed syllabus for the Diploma in Islamic Banking for APCCE. With an interest in non-conventional financial system he has consulted various institutions and organisations in Islamic banking. 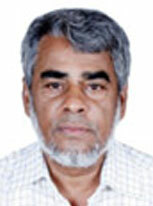 Dr Rahmatullah has also published numerous books and articles on various topics on the Islamic economy. He holds a PhD in Economics from Aligarh University, India and Diploma in Islamic Banking and Insurance from the Institute of Islamic Banking and Insurance, United Kingdom. 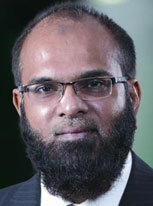 Professor Dr Ashraf bin Md Hashim is the Chief Executive Officer of ISRA Consultancy. He is also a Senior Researcher at International Research Academy for Islamic Finance (ISRA) and a Professor at International Centre of Education in Islamic Finance (INCEIF). He currently sits on the Central Bank of Malaysia’s Shariah Advisory Council (SAC BNM) as Deputy Chairman and the Securities Commission of Malaysia’s Shariah Advisory Council (SAC SC). He is also a member of Shari’ah Committee for International Islamic Liquidity Management Cooperation (IILM) and the Chairman of Shariah Committee of Bursa Malaysia (Malaysia Exchange House). 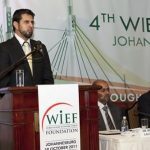 In addition, he serves as member of National Fatwa Council of Malaysia (Muzakarah Kebangsaan Hal Ehwal Agama Islam), a registered Shariah Adviser of Security Commission, advising a few Real Estate Investment Trust (REIT) companies particularly in Singapore and Association of Islamic Banking Association Malaysia (AIBIM). He is also a member of Board of Directors for Tabung Haji (Pilgrimage Fund). He is actively involved in many consultation works related to Islamic finance in Malaysia and abroad, including the Islamic Bank of Australia (Project) and Noor Takaful Nigeria where he is Chairman of Advisory Council of Experts. Recently, he has been appointed as Chairman for Panel of Experts in Muamalat Matters under the Islamic Development Division of the Prime Minister’s Department Malaysia. Previously, he served on the Shariah Committee for Alliance Bank (2005-2007), Al-Rajhi Bank Malaysia (2007-2011), Takaful Malaysia (2005-2008), ACR Retakaful Malaysia and Bahrain (2008-2011). He had also served as a member of Islamic Financial Services Board (IFSB) Technical Committee on Retakaful. Dr Ashraf holds a PhD in Islamic Law from University of Birmingham, United Kingdom, a Master’s degree in Fiqh and Usul Fiqh from University of Jordan, a Bachelor’s degree in Shariah from Islamic University in Medina, Saudi Arabia and a Postgraduate Diploma in Shariah Law and Practice (DSLP) from International Islamic University Malaysia. 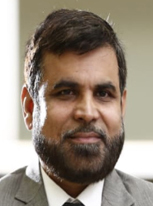 Abdur Raqeeb is the General Secretary of Indian Centre for Islamic Finance based in Chennai and the Convenor of the National Committee on Islamic Banking. He has been promoting the concept of interest-free banking throughout India. Some of the conferences he has attended include IsDB’s conference for regulators, organised by Bank Negara, Malaysia, Islamic finance conference on sukuk in London, Turkey and others. He has also addressed the subject at several universities in India and abroad. He holds Master’s degree in Journalism and Mass Communication. 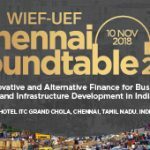 ITC Grand Chola is the official hotel for the WIEF-UEF Roundtable in Chennai. 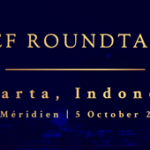 The special rate is offered exclusively to registered participants of the Roundtable for reservations between 09 Nov and 11 Nov 2018. Reservations will be on a first come first served basis, please book by 19 Oct 2018 to enjoy the special deal. 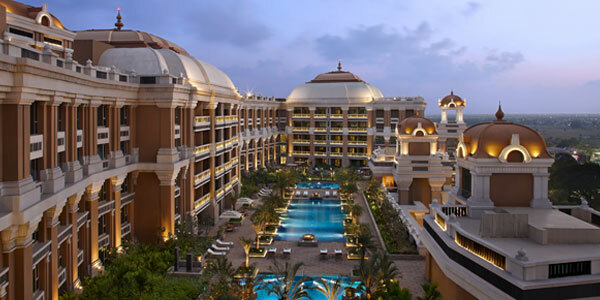 The hotel is the world’s largest LEED Platinum green hotel embodies the essence of Southern India’s most glorious empire, The Imperial Cholas – the greatest maritime power in India history. 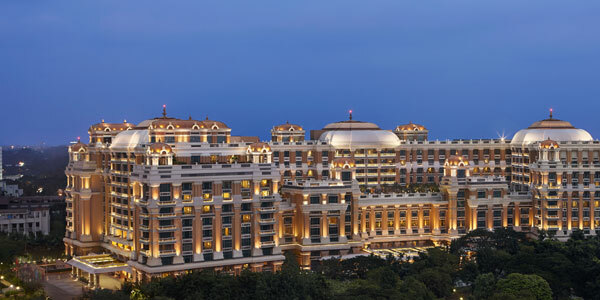 ITC Grand Chola is situated in close proximity to the centrally located Mount Road, Olympia Tech Park and business hub of Guindy. Equidistant from the city centre and the airport. 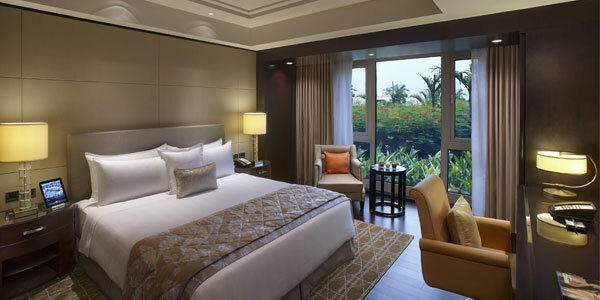 Luxurious, comfortable and elegantly designed rooms and suites feature high speed broadband internet, doctor on call, ATM, 24-hour room service and laundry, and currency exchange. Increase visibility as an industry leader/expert and cultivate relationships with the key/target audience. Lead generation. Great opportunity for your organization to present the latest inventions/projects and collect new contacts. 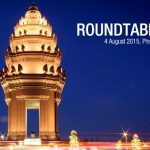 Recognition as Presenting Sponsor and acknowledgement in all Roundtable’s collaterals which include venue backdrop, marketing and advertising collaterals. 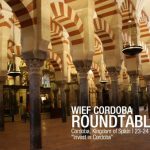 Recognition in selected WIEF Foundation publications and social media platforms. Sponsor logo with hyperlink & company description (boilerplate) on event website. Sponsor logo and company description (boilerplate) in the Roundtable Booklet. One (1) page advertisement insertion in the Roundtable Booklet (insert). Introduction meeting with top business leaders attending the Roundtable. Speaking opportunity in one of the Panel Discussion session. Email blast to Roundtable attendees. 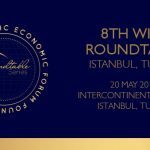 Ten (10) Participant passes to attend the annual WIEF (worth US$800 each). 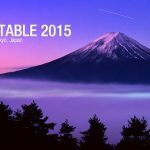 Recognition as Roundtable Partner and acknowledgement in all Roundtable’s collaterals which include venue backdrop, marketing and advertising collaterals. One (1) page advertisement insertion in the Roundtable Booklet. 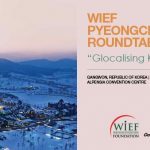 Five (5) Participant passes to attend the annual WIEF (worth US$800 each).